She was not kidding about the rain. 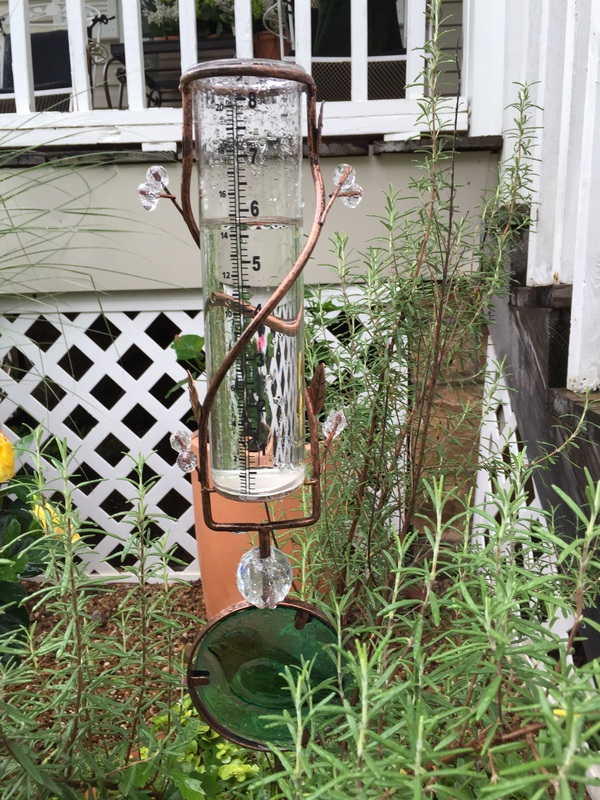 It rained non stop Tuesday, almost 6 inches by Wednesday morning. It was raining when we went to bed and raining when we got up so this is what we did. You, Brother & Mama have the cool toys! It’s gonna get hot here pretty quick. After all, it’s July in ok.
We have had more rain in Colorado lately than I can ever remember having! BTW, What is it about Scotties that they have to have their head hanging off their beds? I just love them!! We’ve got torrential rain here and a power outage so Jacques & I are following your lead – it’s nap time! I gotta try that App. 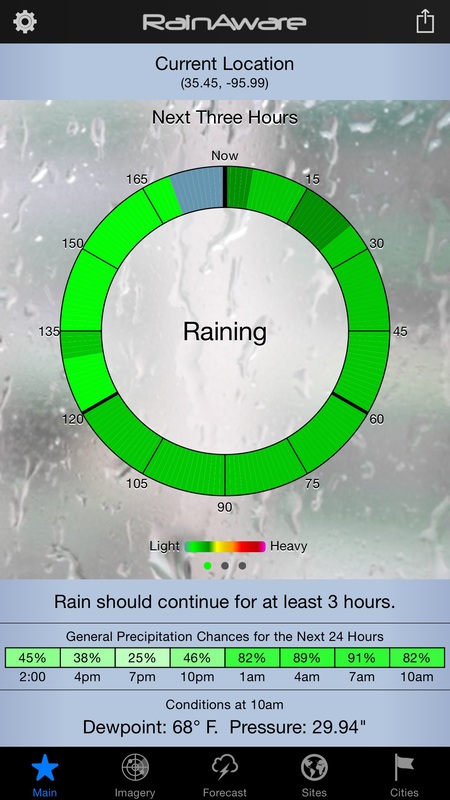 I have accuweather which has something similar, but I don’t have Rain aware. Knowledge is key to keeping the Angus Fala Sump Pump happy! It costs but really accurate. I am living in the Stone Age. I do know that the accuweather is wrong a lot of times on the TV. They say that there is no rain on the Dopler and I look out and see rain falling into the pool. You guys are too cute nappin’! 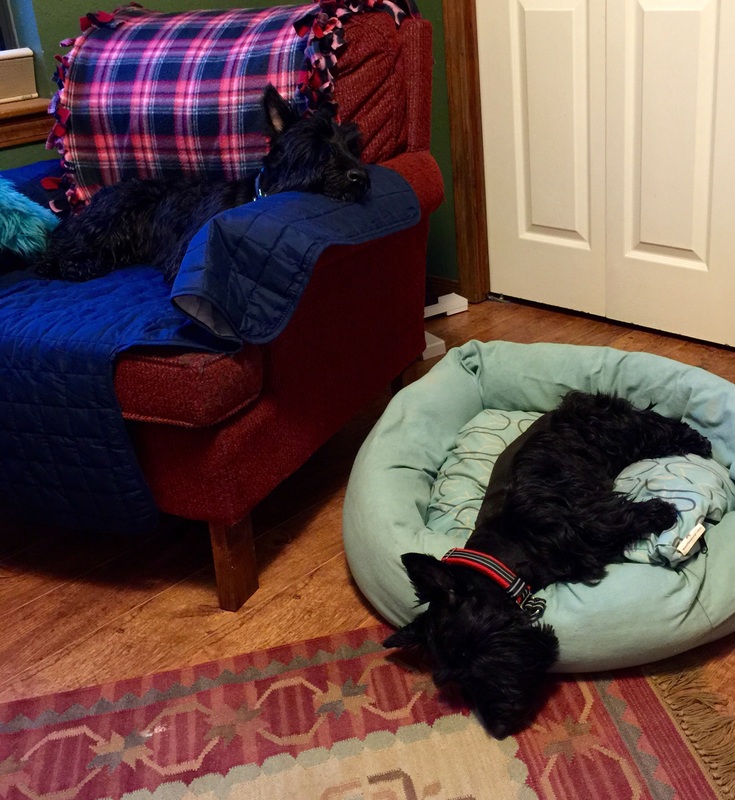 I’ve always wondered about why Scotties hang their heads off the bed or couch, etc.! They are adorable, but to me it does not look that comfy! Please, please send us some of your rain, Indy and Lucy! ….cause I’m never going to stop the rain by complaining. Love that song as well. We didn’t have rain today but it was windy and humid. Y’all have a great weekend.